Work to construct Rochdale‘s brand new £80m shopping and leisure development in the heart of the town centre is under way. Contractors Willmott Dixon, took possession of the site at the end of February and have been busy mobilising and engaging sub-contractors, with around £21m likely to be spent with Greater Manchester companies over the course of the two-year build. 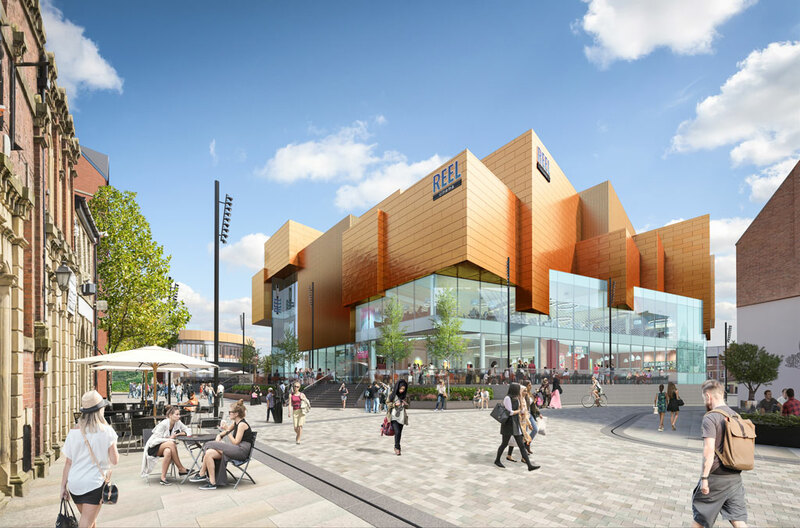 Delivered by Genr8 and Kajima in partnership with Rochdale Borough Council, the 200,000 sq ft development will bring approximately 24 new shops, restaurants and a six screen cinema to the town centre. Next, M&S, JD Sports, Boots and River Island have already signed up to the scheme, alongside Reel Cinemas. The development is due to open the public in summer 2020. The development is the final part of a £250m investment package which has transformed Rochdale town centre beyond all recognition since 2011. Other schemes which have been delivered as part of the regeneration programme include the new customer service centre, library and council building, Number One Riverside, the new Rochdale Leisure centre, Rochdale Sixth Form College, (recently rated outstanding by Ofsted), and the award-winning river re-opening project. Councillor Allen Brett, leader of Rochdale Borough Council, said: “It’s great to see this flagship development now well under way. It will change the face of Rochdale town centre by bringing major high street names and creating a vibrant early evening economy. Rochdale Riverside is already having a positive impact, with new restaurants, cafes and bars, like the Wellington and the Medicine Tap, opening here because of the major investment developers are seeing in the town centre.